The ship’s science labs have all been packed up and cleaned, kit boxes stowed in the container, cargo paperwork finished and cruise reports written. The SO-AntEco team is ready to make the long journey home after a successful voyage to the South Orkney Islands, working in and around one of the most southerly Marine Protected Areas (MPAs) in the world. 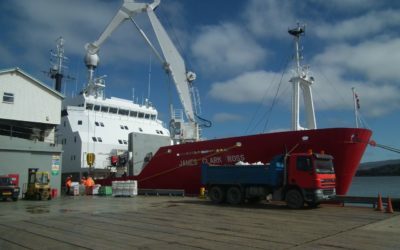 When we leave the James Clark Ross – our floating home for the past five weeks – the 22 members of the science team will fly back to many different corners of the world, including Australia, Russia, the US and Europe. 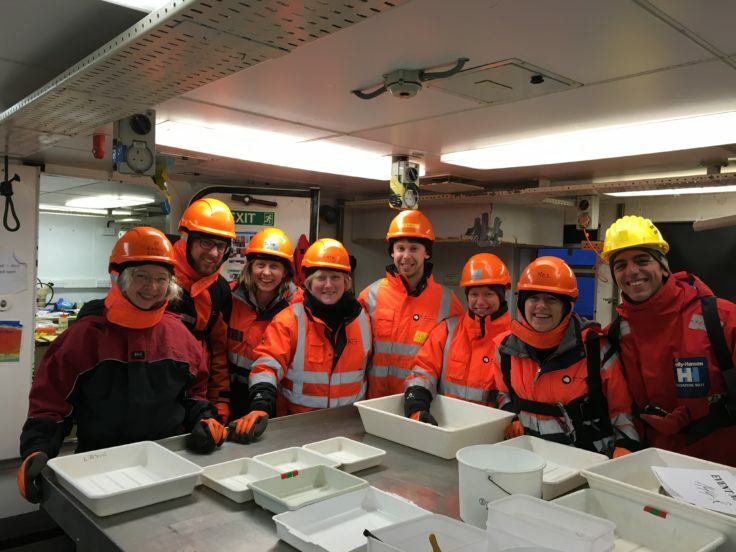 Nine countries and 16 institutes were represented on this expedition – a great example of the international scientific cooperation that is the foundation of the Antarctic Treaty System, and the major aim of the Scientific Committee on Antarctic Research (SCAR). The international nature of our team was especially evident at meal times on board the ship, when the British contingent was often asked with amusement by others around the table to explain such delicacies as Yorkshire pudding, Marmite and haggis! But despite the various languages being spoken , some things don’t need any translation – “oh wow!” being a common reaction for everyone when a bright purple octopus popped up on our underwater camera system, a new species of coral was found in a sample, or we spotted humpback whales off the bow. 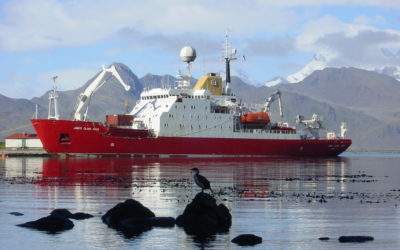 An expedition like this one is a valuable chance to bring together scientists with a range of different backgrounds, who can work together to study big questions. 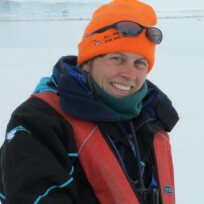 We wanted to know how the habitats around the South Orkney Islands relate to the types of animals that are found there, to identify areas that may be particularly vulnerable to the impacts of fishing in the future, and to find and describe new species. Using sampling gear and underwater camera and video systems, we have collected new information that will improve our understanding of the seafloor habitats in this region. Our team also discovered new species in most of the groups of animals that we looked at, including corals, anemones, echinoderms and polychaete worms. A range of animals collected during the SO-AntEco expedition. Images by C. Waller, H. Wiklund, B. Danis and C. Moreau. The findings of the SO-AntEco expedition will be especially important in supporting international efforts to conserve marine life and manage sustainable fisheries in this region. 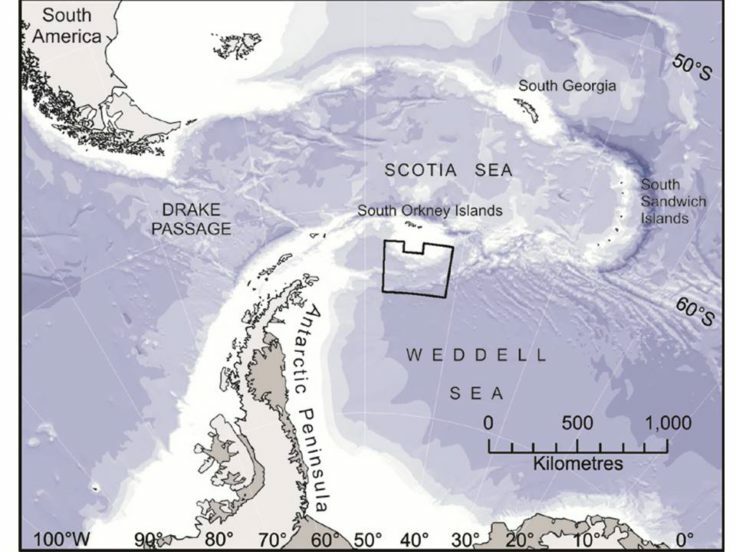 The South Orkney Islands MPA was established in 2009, through an agreement by all 25 member states of the Commission for the Conservation of Antarctic Marine Living Resources (CCAMLR). Scientists from many of those member states were part of the SO-AntEco expedition – the results of our work here will help in finding out whether the MPA is working effectively, and how its management might be adapted and improved in the future. As we head for the airport, we are all looking forward to getting home to our families and friends – as well as fresh fruit and veg, and a bed that doesn’t roll you out at night! It’s been a real privilege to share this expedition with old and new colleagues from around the world (and to see their reactions to Marmite! 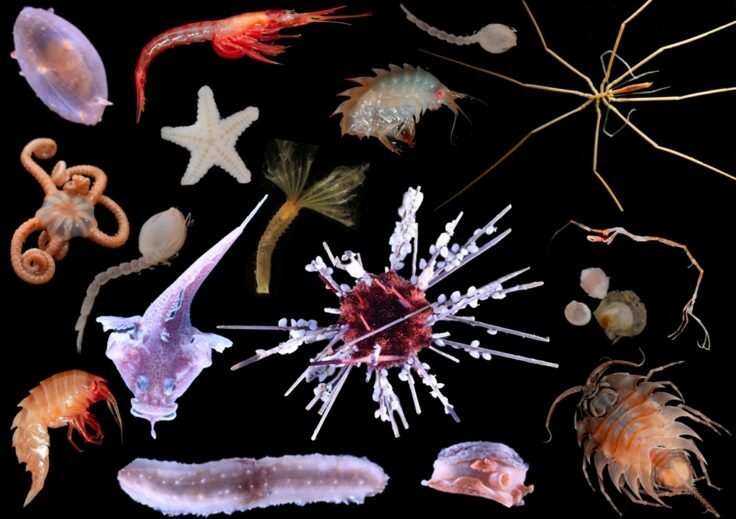 ), and to work together to increase our understanding of a very special part of the ocean.